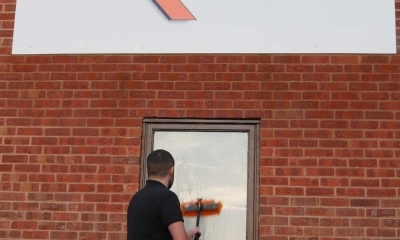 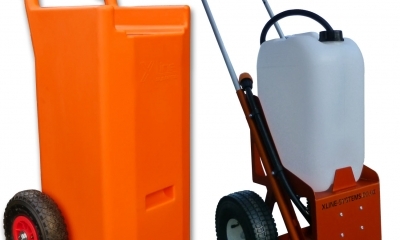 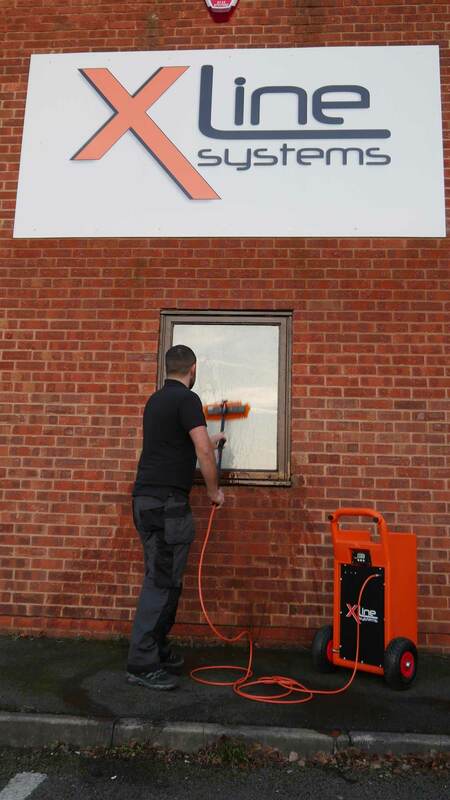 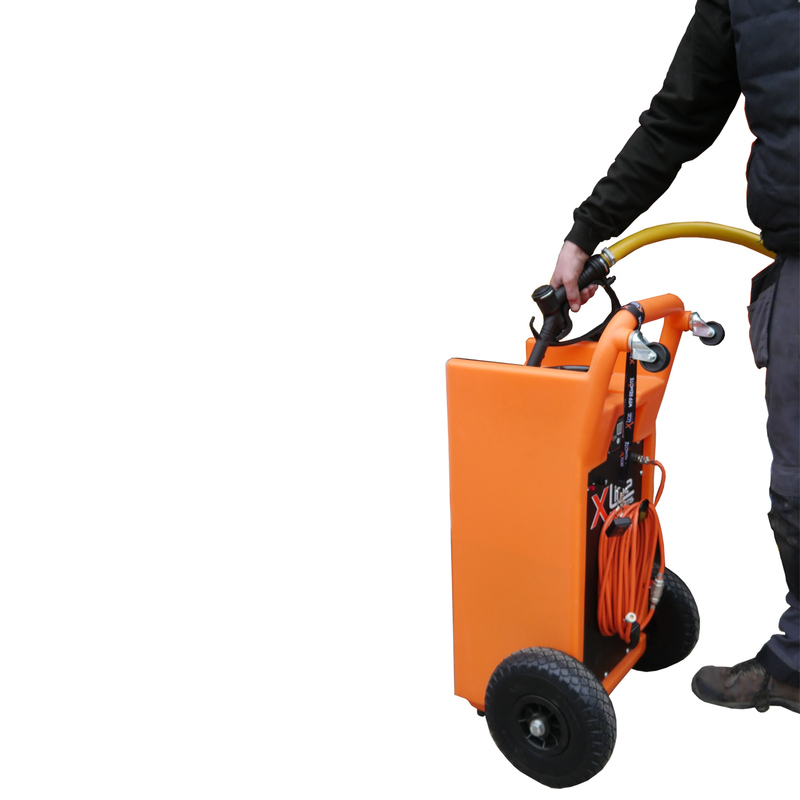 The 45 litre water fed window cleaning trolley has been designed to give the user more water capacity while maintaining a low weight & compact overall size (similar to the size of conventional fabricated 25tr systems). 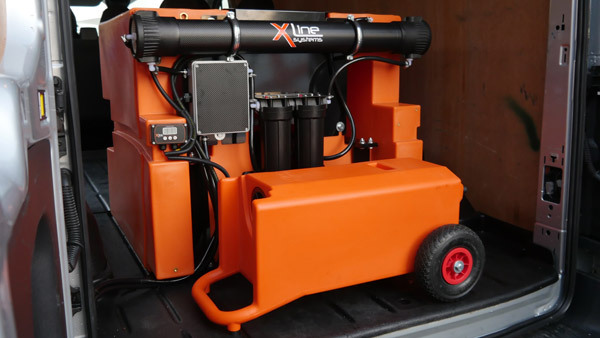 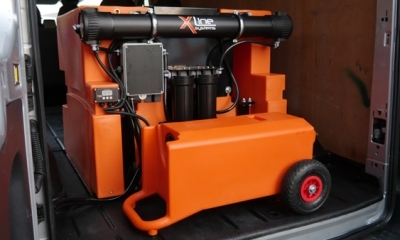 This has been achieved by integrating the components in a compact way allowing as much water capacity as possible in the overall dimensions of the trolley. 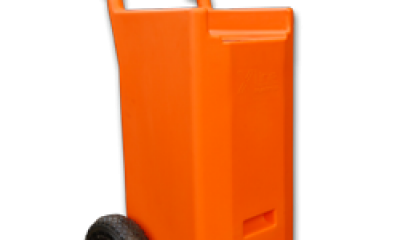 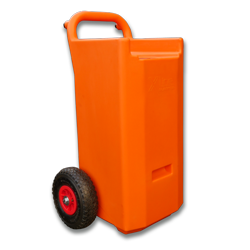 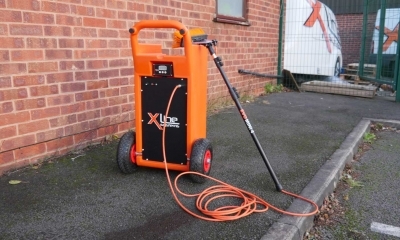 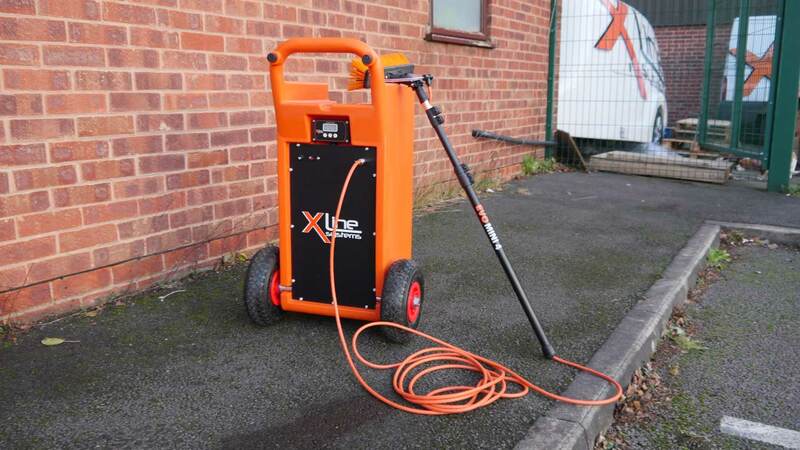 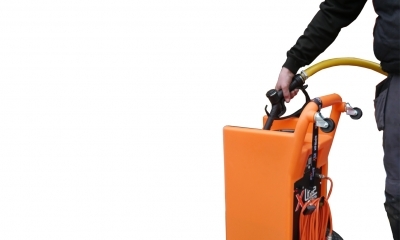 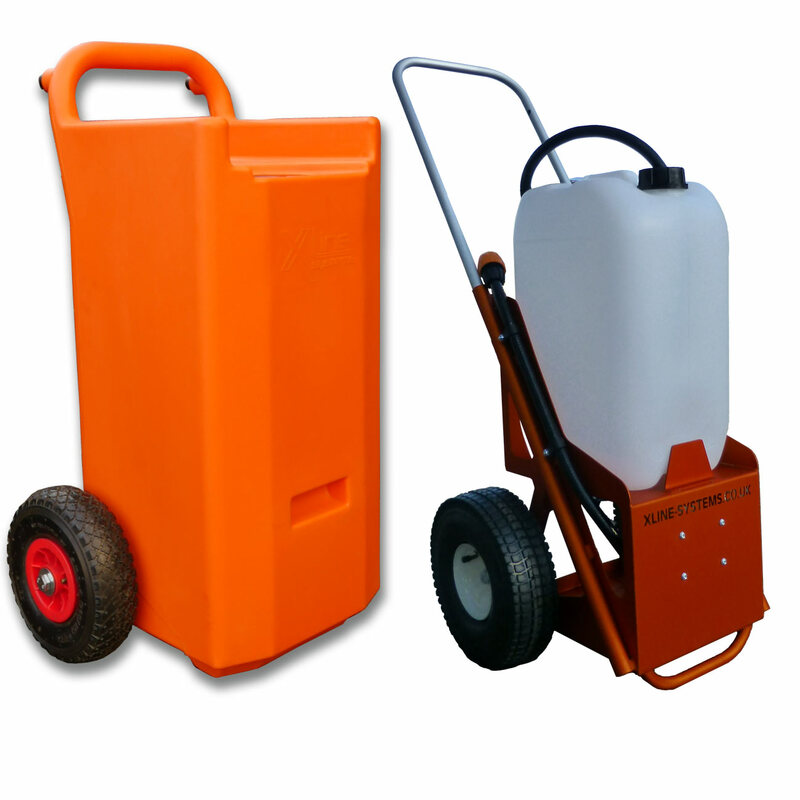 The water fed trolleys dry weight including battery is just under 21kg making it light enough to lift in and out of a vehicle (utilising the lifting handle located on the front), there are two casters on the handle to help when loading the trolley.